Raymond Fortun, the popular lawyer that served member of President Estrada's defense team on the impeachment trial expressed his legal opinion on the case of Janet Lim Napoles, the alleged 'brains' behind the controversial 10-billion 'pork' barrel scam. 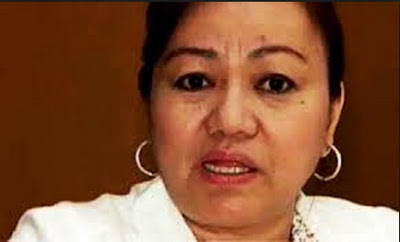 Janet Napoles surrendered to the government Wednesday night for a reason that she feared for her life. Fortun believes that she was enticed by the promise that she could become a state witness instead in order to avoid imprisonment. "Janet Napoles CANNOT become a state witness because SHE IS THE MOST GUILTY. She is most guilty because she had the most to gain from the pork barrel scandal." Let's assume there are 23 congressmen who dealt with Napoles. Assuming that each congressman turned over their entire Php70Million to Napoles's bogus NGO's, and the "deal" was that each congressman would get 70% (with Napoles getting 30%), each congressman would get Php49Million (70% of 70M). On the other hand, Napoles would stand to gain a grand total of Php483Million (30% of 70M x 23 congressmen). Do the math -- Php49M as against Php483M. Who benefited the most? In the concept of a grand conspiracy, it is highly unlikely that 23 congressmen from various districts all over the Philippines (including party lists) would get together and instruct Napoles to set up bogus NGO's so that they can all get 70% of their pork barrel allocation. Rather, it is easier to surmise that NAPOLES separately approached 23 congressmen, told them of her scheme to use bogus NGO's to extract the congressmen's pork barrel allocations under a 70-30 sharing arrangement. Under the latter scenario, it is NAPOLES who masterminded the entire scam, with the congressmen being the greedy and willing participants thereto. Suffice it to state that the mastermind CANNOT become a state witness; the mastermind is the MOST GUILTY. Section 17(d) of Rule 119 of the Revised Rules of Criminal Procedure provides that an accused can be discharged to become a witness for the state when "said accused does not appear to be the most guilty". Somehow, i cannot but expect the government to find a way for Napoles to be granted immunity from suit EVEN IF THE LAW DOES NOT ALLOW IT. Reports of Napoles having contributed to PNoy's campaign coffers certainly creates a cloud of suspicion about whether the government is serious in prosecuting all concerned INCLUDING Napoles. We will see within the coming days if the charge list would include ALL who benefited from the pillage and plunder of taxpayers' money, and not merely a veiled persecution and neutralization of perceived political opponents for the 2016 Presidential elections. "All of us must MAINTAIN OUR VIGILANCE. If the members of the Liberal Party dipped their hands in this mess, they MUST be held accountable, the same as everybody else. There should be no sacred cows in the coming investigation. ", Fortun expressed via his Facebook account.